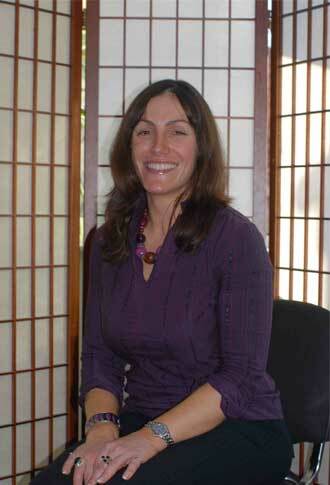 Welcome to Birmingham Hypnotherapy With the well known health expert Claire Hegarty The Hypnotherapy and NLP Expert as seen on TV and Always Heard on the Radio Including Her two monthly radio shows. Birmingham Hypnotherapy with Claire Hegarty offers a free consultation either by phone or face to face at one of her offices around the United Kingdom where she offers you powerful results. If you would like to change your life and work with a well known Health and Lifestyle Expert to provide real results then call Birmingham Hypnotherapy and speak with Claire Hegarty where you will be offered a free consultation over the phone or on a one to one basis at one of her offices. Birmingham Hypnotherapy with Claire Hegarty offers a number of services which include: Allergies/Asthma, Anger Management, Anxiety, Block and Stutter/Stammer, Business Coaching, Depression, Fear of Flying, Fear of Needles, Fear of Public Speaking, Irritable Bowel Syndrome, Pain Relief, Personal Development, Weight Loss, and Substance abuse. Birmingham Hypnotherapy with Claire Hegarty – your local Professional Hypnotherapy and NLP expert is here to help you to change and improve your life for the better – helping you to over come obstacles in your life with powerful life changing results. Claire first started her work in Personal Development and Human interaction in 1998, when working as a Scientist for one of the worlds largest blue chip companies. During this time she trained to become an Advance Creativity Guidance and Team Management and this was when she first discovered NLP, 4 years on from that she attended her first Certification Training to become a Certified Practitioner of NLP, Hypnotherapy and Time Line Therapy tm – this was 5 years ago and her life has never been the same! Since that very first Certification training in NLP 5 years ago she has continued to train and develop her skills, travelling all over the world to places as far as Hawaii meaning that she is always at the leading edge of personal development and offers an extremely diverse and unique range of personal development, change, therapeutic and coaching services enabling people to discover, unlock, maximise and live their true potential. She is highly regarded in her field by both her clients and those who she mentors along the path and is an active expert of various websites, radio stations and soon to also be appearing on TV. There are few in this field with her level of skill, experience and personalised and highly recommended client dedication and commitment with her area of expertise covering those of all ages and walks of life, even those of the animal variety in areas including block and stutter, phobias, stress, anxiety, depression, trauma, eating disorders, asthma, eczma, psoriasis, cancer, allergies, IBS, UC, fear of public speaking, low confidence, sexual problems, gender issues, low motivation, weight loss, low self esteem, business start up, business coaching, brand development ad much more!